Social psychologist, systems-theorist, and futurist David Loye is the author of widely respected books on the use of the brain and mind in prediction, political leadership, race relations, and is the developer of new theories of moral sensitivity and evolution. 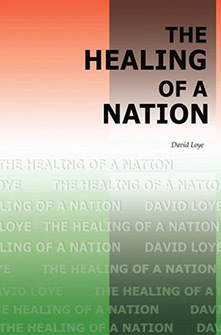 Psychology Today called David Loye’s psychohistory The Healing of a Nation a “work of uncommon humanity and vision.” The book applies the insights of modern psychology and sociology to an exploration of the causes and cures of racism. Taking a fresh look at the works of such giants as Pavlov, Freud, Marx, Myrdal, and Kurt Lewin, Loye shows us how their theories and findings can be used to help solve our racial dilemma. A former member of the psychology faculty of Princeton University, Loye for nearly a decade was a professor in the research series and Director of Research for the Program on Psychosocial Adaptation and the Future at the UCLA School of Medicine. Loye is a co-founder of the new Society for the Study of Chaos Theory in Psychology and a co-founder of the General Evolution Research Group, a multidisciplinary group composed of scholars from Italy, France, Finland, Hungary, Russia, China and the United States, as well as an editor of the group’s journal World Futures: The Journal of General Evolution. During recent years he has been primarily involved with the scientific study of moral sensitivity. One phase of this research involves a comprehensive re-evaluation of the work of Darwin, Kant, Marx and Engels, Durkheim, Freud, Piaget, Kohlberg, Gilligan and other pioneers in scientific moral studies in the light of new discoveries in brain research, feminist and gender studies, human prehistory, and the systems dynamics of human cultural evolution. He is currently completing several books on this subject. Loye’s publications include articles in Behavioral Science, Futures, Technological Forecasting and Social Change, Political Psychology, Management Science, and many other journals. He is a contributor (with Milton Rokeach) to the International Encyclopedia of Neurology, Psychiatry, Psychoanalysis and Psychology, the World Encyclopedia of Peace published by Pergamon Press, and The Encyclopedia of Violence, Peace and Conflict Resolution.